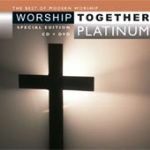 FYI: The Worship Together brand has a platinum track record. It was Time Life Music’s top product offering in 2003. The Bottom Line: Worship Together Platinum goes a long way in supporting the same vision as Ellis. Neither too much nor not enough, it offers a strong share of must-have tunes (“Breathe,” “It Is You,” “Let Everything That Has Breath,” “Better Is One Day,” “Every Move I Make,” “Lord, I Lift Your Name on High”) performed by a cross section of much respected artists (Matt Redman, Rebecca St. James, Jeremy Camp, Delirious, Chris Tomlin, Newsboys, SONICFLOOd with Jeff Deyo, etc. )—an excellent sampling of exciting, relevant worship music on the CD, and compelling visual evidence of the joy God can bring to His people on the DVD presentation. Featuring: CD highlights include “I Want to Know You” (SONICFLOOd with Jeff Deyo), “Enough” (Jeremy Camp), “Draw Me Close” (Kelly Carpenter) and “Lord Reign in Me” (Brenton Brown). The DVD features concept videos from Rebecca St. James (“Song of Love”), Delirious (2001 re-recording of “I Could Sing of Your Love Forever”), and Newsboys (“He Reigns”) plus in-concert performances by David Crowder Band (“O Praise Him”), Chris Tomlin (“Holy Is the Lord”), Matt Redman (“The Heart of Worship”), and Plus One (“Here I Am to Worship”). Listen to song samples or buy from Songs4Worship.com!